Hospitalizations from prescription drugs increase 98% in 5 years! 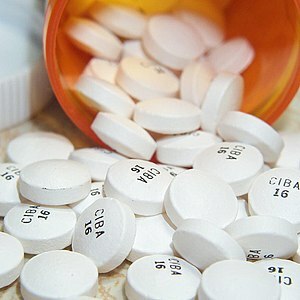 Below is an article on prescription abuse and misuse in the U.S. The numbers are startling. If we want to begin to cut health care costs we need to reign in the pharmaceutical industry and their aggressive marketing. See my comments at the end of the article. The number of emergency room visits resulting from misuse or abuse of prescription drugs has nearly doubled over the last five years, according to new federal data, even as the number of visits because of illicit drugs like cocaine and heroin has barely changed. The Substance Abuse and Mental Health Services Administration found there were about 1.2 million visits to emergency rooms involving pharmaceutical drugs in 2009, compared with 627,000 in 2004. The agency did not include visits due to adverse reactions to drugs taken as prescribed. Emergency room visits resulting from prescription drugs have exceeded those related to illicit drugs for three consecutive years, said R. Gil Kerlikowske, President Obama’s top drug policy adviser. In 2010, the Substance Abuse and Mental Health Services Administration reported that the number of people seeking treatment for addiction to painkillers jumped 400 percent from 1998 to 2008. And in a growing number of states, deaths from prescription drugs now exceed those from motor vehicle accidents, with opiate painkillers like Vicodin, Percocet and OxyContin playing a leading role. In September, the Drug Enforcement Administration organized the first national prescription drug take-back program, and thousands of people dropped off old or unused drugs at designated locations around the country. While the effort captured but a tiny fraction of the addictive drugs in the nation’s medicine cabinets, law enforcement officials said it helped people understand how deadly such drugs can be. Another collection day is being planned for April, Mr. Kerlikowske said. In a time when health care costs are through the roof and insurance premiums continue to rise this story explains a lot. Since 2004 the number of emergency room visits has almost doubled because of complications from pharmaceutical agents that were misused or abused. This does not take into account the number of people who are hospitalized because of adverse reactions or complications from taking their medications as prescribed. There is a major war going on against illicit drugs like cocaine and heroin and rightfully so. But according to this research hospitalizations for prescription drugs exceed those of the illegal drugs. Why are we not fighting back against this problem? In my opinion, the aggressive marketing of pharmaceutical drugs is partly to blame. Just watch the nightly news. You will see ad after ad for drugs. This leads people to believe that these drugs are basically harmless because of the happy and joyous people you see living their wonderful lives on these drugs. It desensitizes people to their dangerous side effects. Don’t believe me? How much attention do you think the average American pays to the list of side effects that each company is required to state in their commercials? The level of attention is directly related to how many times to you hear something. The more you hear it, the less you pay attention to it. And you hear it all the time! You can’t get away from it on television. You know what the problem with that statement is? Diet and exercise are never given a chance. The first thing that happens when someone is diagnosed with high cholesterol is a prescription is written. No advice about diet or exercise is given. Over prescribing has become a habit in the medical community and because of this, we pay the price. If we want to reduce the number of hospitalizations from prescription drugs we need to reduce the number of prescriptions that are written in this country by using safe and effective alternatives and we need to stop the aggressive marketing of pharmaceutical agents to the general public. Forget the Flu Vaccine – Take Vitamin D! My most recent blog focused on the new report from the Institute of Medicine (IOM) that stated most people in North America were getting enough vitamin D. Their research, however, focused only on vitamin D as it pertains to bone health. Vitamin D does much more than just support healthy bones. In my opinion, the IOM’s report was way off base and I hope it does not encourage people to stop taking their vitamin D supplements. As further evidence to this, take this recent research that I ran across today. The results are from a randomized, double-blind, placebo-controlled study involving 334 children, half of which were given 1200 IUs per day of vitamin D3. Only 8 percent? Yes 8 percent! That may not seem like a lot, but compare this the most recent research available on flu vaccines which states that they only reduce the incidence of the flu by 1%! I’ve got the data to back it up. Anyone who is in health care knows about the Cochrane Collaboration and their studies. They are some of the most trusted studies in the medical world. Dr. Tom Jefferson, an epidemiologist, worked closely with the Cochrane Collaboration to evaluate the true effectiveness of the flu vaccines. His findings were truly surprising to those in the traditional medical field. You may access a great summary by the authors here for free if you are interested in reading it. I will summarize it below. Selection Criteria: Randomized controlled trials (RCTs) or quasi-RCTs comparing influenza vaccines with placebo or no intervention in naturally-occurring influenza in healthy individuals aged 16 to 65 years. Main Results: A total of 50 reports were included in the review. This included a total of about 70,000 people. They concluded that in ideal situations where the vaccine matched the virus in circulation a 4% reduction in flu rates were obtained. This means 100 people would need to be vaccinated to prevent 4 cases of the flu. In average conditions where the vaccine does not match the strain of flu virus there was a 1% reduction. This means 1 case was prevented for every 100 people who get the vaccine. That means most people that get the flu vaccine are only afforded a 1% reduction rate in the flu. Our results may be an optimistic estimate because company-sponsored influenza vaccines trials tend to produce results favorable to their products and some of the evidence comes from trials carried out in ideal viral circulation and matching conditions and because the harms evidence base is limited. Optimistic?! Wow. 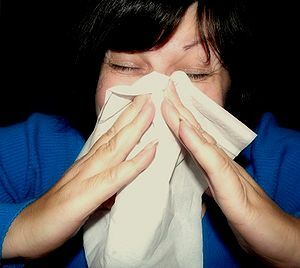 If a 1% reduction in flu rates is optimistic, I’d hate to see what realistic is! So back to vitamin D. Recall that a placebo controlled study recently released in the American Journal of Clinical Nutrition found that vitamin D reduced the rate of flu in children by 8%. That’s 800% more effective than the vaccines that are available. I understand that this information steps on a lot of toes, but the numbers don’t lie. Another plus to vitamin D is that its effectiveness does not rely on matching viral strains and guessing which virus is going to be most prevalent. It works by regulating your immune system. Also recall that the IOM says people are getting “enough” vitamin D as long as they are getting 600IU per day. But this recent study has found added benefit for vitamin D at 1200IU? Curious. I think the IOM should reevaluate their stance. This flu season consider an alternative to the flu shot. The numbers show that it is not terribly effective. You’d be better off by eating healthy, exercising and taking a little extra vitamin D. For adults in the winter I recommend 4,000IU per day. This will take care of your daily needs as well as protect you from the flu. The above video was brought to our attention from a patient of ours who happens to be a medical doctor. The woman in the video is a former pharmaceutical sales person and speaks about the amazing ways in which Big Pharma tricks doctors into believing what they are prescribing has no downside. Big business is big business no matter what the company is selling. Just because the pharmaceutical industry makes drugs that are supposedly good for us (their words, not mine) does not mean they aren’t in it to make as much money as they can possibly make. The problem is that these drugs are dangerous and Big Pharma tries at every turn to mislead the public and medical professionals to minimize the potential dangers of drugs. Did you know that 106,000 people per year die from the negative effects of properly prescribed drugs? That number is almost as high as the number of people who die from stroke each year. 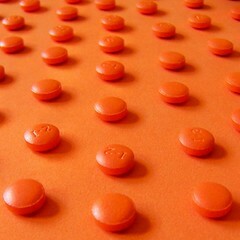 I recently read an article about the cholesterol lowering class of drugs called statin medications. It was a sort of tongue and check article that touched on this subject. It was written by a chiropractor who works in a hospital. He has frequent interaction with medical doctors because of this and is privy to the conversations that most people don’t get to hear. In his article he said that he’s overheard some physicians saying that everyone should be on statin medications because of their “health benefits” and almost nonexistent side effect profile. He went as far to propose, sarcastically of course, that we should just start putting statins in our water as a measure of public health. After all we already put fluoride in the water. Why not add a little statin in there too!? The problem is that statins have little health benefit and have a very large side effect profile. Big Pharma is trying to spin these types of ideas day and night. Anything to increase profits and crush the competition. At some level, people who work for these corporate giants want to help people and cure diseases. The problem is that the people in charge care about one thing – money and power. Power begets money and money begets power. Once those two things are in the fold, you can forget about honesty in terms of research, marketing and maybe worst of all, political policy. While they don’t directly control legislation, their 2500+ lobbyists do a great job making sure their interests are well taken care of. There needs to be a change in the way Big Pharma is regulated. If we do not, health care prices will continue to increase and America will continue to be one of the unhealthiest nations in the world. Welcome back! We’ve been away for a while from the blog with the Labor Day holiday but we’re back with startling new information about the amount of prescription drugs Americans take. In my opinion, prescription medicines are the most overly used consumer product available in this country. Many times they are used for conditions that are incredibly responsive to dietary changes, exercise and supplement programs. Examples of these conditions includes type II diabetes, high cholesterol, depression and asthma. These also happen to be some of the biggest money makers for the drug companies. New research points out just how drugged we are as a society. Over the last 10 years, the percentage of Americans who took at least one prescription drug in the past month increased from 44% to 48%, says a federal government study. That’s right. Almost half of the people in the United States reported taking at least one prescription drug in the last month. Half! That means that almost 150 million people used a pharmaceutical product to deal with a health condition. Use of two or more drugs increased from 25% to 31%, and the use of five or more drugs increased from 6% to 11%, according to the analysis of data from the National Health and Nutrition Examination Survey (NHANES). The numbers for people over 60 are even more frightening. The study found that 90% of adults 60 years old or older used at least one prescription drug in the last month. More than 76% used two or more prescription drugs and 37% used five or more. One in five children used at least one prescription drug in the last month as well. These numbers are astounding. Big Pharma would have you believe they are helping people be healthy by having them take their drugs. The truth is, however, someone is not truly healthy unless they aren’t taking any drugs. These drugs are toxic and have serious side effects. While some drugs are necessary and allow people to live longer lives, the vast majority are over prescribed and unnecessary. Not surprisingly, spending for prescription medications has sky rocketed. Since 1999, spending has more than doubled. 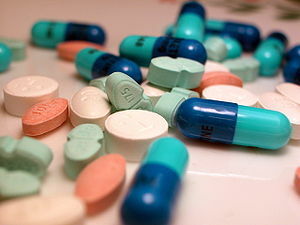 In 2008, spending in the US for medications topped $234.1 billion. Access to health insurance increased the risk (yes, risk) of taking a prescription medication. While I think it’s noble to try and get everyone fair access to health insurance, it is not going to make us healthier. It will only guarantee that more people take more medication. These numbers are disturbing but the trend is going to continue as long as people continue to insist that drugs are the only way to treat disease and people continue to disregard their responsibility for their health. The research is clear. One of the largest problems with our health care system is the cost. The research is also clear that one of the largest contributors to that cost is the dangerous side effects and interactions from drugs that were taken as prescribed. If half of all Americans are taking prescription medication from one month to the next and medications that are taken properly significantly increase health costs in this country, shouldn’t we be trying to get Americans off prescription medication? In order to make health care more affordable we need to get people to be healthier. That includes getting them to exercise, watch their diet and take supplements that have shown to be effective with very low (if any) side effect. It does not include getting more people on more drugs. To me this is not a hard concept. The research reflects what I am saying. It just needs to be implemented.